I’m so glad to finally post another Chit Chat Friday. It’s been ages. I mean I did just move my family from London to Frankfurt, Germany so I think I may have an excuse. But no more excuses now! Today’s interview is with Emily Canino owner and designer of DoodleMoo. Many of you are very familiar with her already. Her little design studio is growing rapidly and her designs are filling your homes too. Doodle Moo is known for their fun and bright illustrations especially their very popular Te Amo print! Emily, originally from Venezuela brings colour and fun into her art. I had the pleasure of chatting with her at her studio last year and we talked about how she started, tips on starting your own business and what music she’s listening too. She gave some great tips for women wanting to start their own thing. Strong branding, this is key. Marketing and knowing your target market are a must in starting your own business. No excuse, just do it, but also preparation is important! Learn from other people and ask for advice from those already doing it. Get advice about money, time management and even take an online business course. Don’t be afraid to evolve. It’s ok to grown into something different. Socialise, socialise, socialise. You have to spread the word about your business and don’t be afraid to brag it either. Very very good advice from Emily! 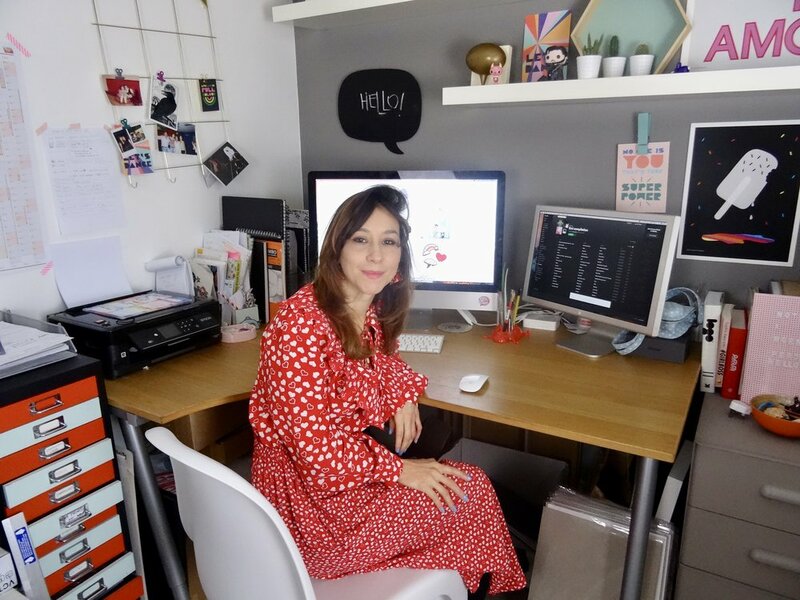 Not only does Emily own DoodleMoo, she also has another design studio, Loro, working with other brands on their branding and she has her own youtube channel showing families how to get creative together! You can find her latest video over on her website! She wants art and creativity to be a family affair. She encourages parents to get crafty with their kids. Get the kids excited about art time at home/encourage them to just try and go for it! Give them a space to be free and messy. Use simple things to make art, an empty box, paper, toilet paper roll. Make things in the summer outside if you don’t want to make a mess in your house. Download their printables on their website and craft time is sorted! Thank you Emily for a lovely interview. Enjoy watching!